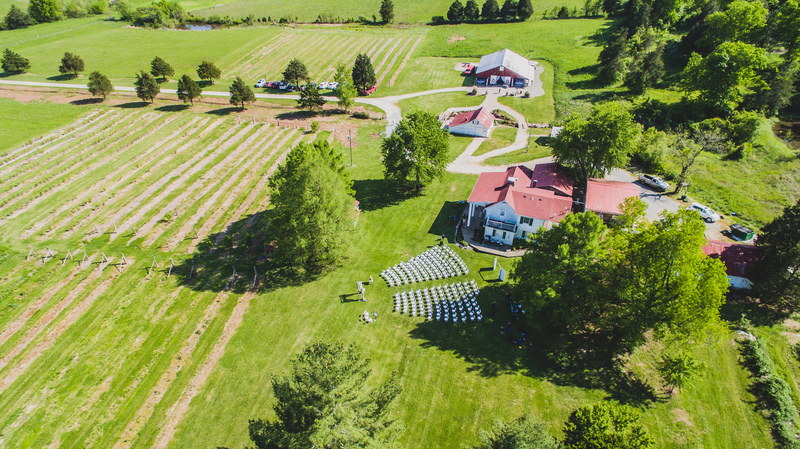 Dodson Orchards is a farm located about an hour south of St.Louis, Missouri that hosts country weddings. This unique country wedding venue has been host to hundreds of brides from around the country who are looking for a unique setting to host their rustic chic country wedding ceremony and barn wedding reception. Here at Dodson Orchards, we provide a full host of wedding services to ensure our brides enjoy their wedding day in the country. Not only does the scenery set our venue apart as extraordinary, but so do our services. With top notch catering services, your guests will love the fresh food prepared with the best ingredients right here at the venue. Additionally, you’ll find our wait staff will provide that down home friendly atmosphere during your exclusive event. Additionally, you and your guests will love the decorating services. You’ll love being able to sit down with our professional decorating staff and choose the decorations you want to use, and how you want everything to look. You’ll also enjoy being able to use all the rustic chic decor’ that the venue provides at no additional charge! Best yet, at the end of the night, we clean it all up for you. Country weddings are typically held starting in the Spring and Ending in the late fall. Dates book up fast though, so contact us today to check available dates. Dodson Orchards is about an hour south of St.Louis, Missouri. Heading south on Hwy 61/67 to Fredericktown, Missouri, the venue is located about 4 miles east on Hwy. E. It takes about an hour and ten to twenty minutes to get here from St.Louis. If you are looking for the authentic charm of a country wedding or our historic barn, or just really good food and service at an affordable price, then you should contact this country wedding venue today.